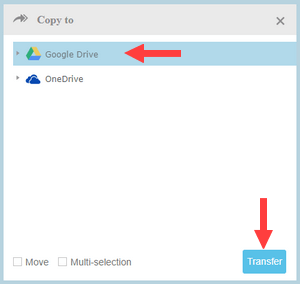 This tutorial will show you step by step how to transfer files from one cloud storage service to another. With this method, you can easily and quickly move your files, such as photos, videos, and documents between cloud storage services like Google Drive, OneDrive, Dropbox, Amazon S3, Amazon Drive, Box, and more. MultCloud is an online service that allows you to manage, migrate, transfer, copy, and move files between cloud storage services, such as Google Drive, OneDrive, Dropbox, Amazon S3, Amazon Drive, Box, and more. They offer a free plan with 2TB (2048 GB) of data traffic for free and they also give you the chance to earn more data traffic by sharing them with other people. MultCloud is very easy to use because it looks and works almost the same as the file managers on Windows, macOS, and Linux. 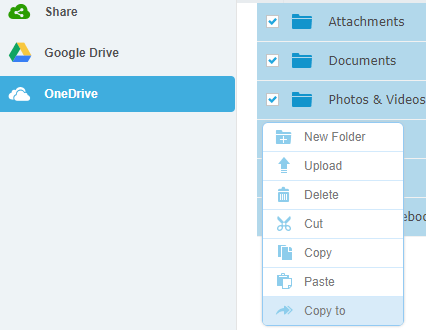 In this example, I'll be using OneDrive and Google Drive, but the steps work the same for other cloud storage services. This means you will have to enter your email address, desired username, desired password, enter the verification code, click on the Create Account button, open the email that they send to you, and then click on the activation link to activate your account. 4. Log into your account. 5. Click on Add Clouds located in the top menu. Now you will see a list of all the cloud storage services that MultCloud supports. 6. Click on the icon of the cloud service you want to add to Multcloud (e.g., OneDrive, Google Drive, etc.). 7. Click on the Next button located below the list of cloud services. 8. If you want, you can edit the display name (e.g OneDrive - yourname@outlook.com). 9. Click on the Add _ Account button. Your web browser will now redirect you to the login page of the cloud service you selected. 10. Log into your account. You will now see a consent dialog where they will ask your permission to allow MultCloud to access your files stored on the cloud storage service. 11. Confirm that you want MultCloud to access your account. For example, if you selected OneDrive, then you will need to click on the Yes button, but if you selected Google Drive, then you will need to click on the ALLOW button. Your web browser will now redirect you back to the MultCloud dashboard. Now you will see your cloud storage service account and all your files. You will have to repeat the same steps again to add another cloud storage service to your MultCloud account. 12. Click on Add Clouds located in the top menu. 13. 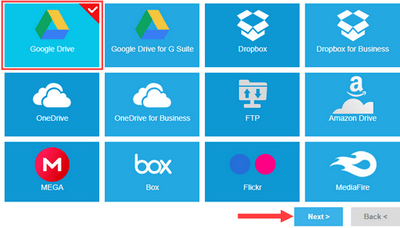 Click on the icon of the cloud service you want to add to Multcloud (e.g., OneDrive, Google Drive, etc.). 14. Click on the Next button located below the list of cloud services. 15. If you want you can edit the display name (e.g Google Drive - yourname@gmail.com). 16. Click on the Add _ Account button. 17. Log into your account. 18. Confirm that you want MultCloud to access your account. Now you will see your cloud storage service accounts and all your files. 19. Click on the account where the files are stored that you want to transfer to your other account. 20. Select all the files and folders you want to move to your other account. 21. Right-click on the selected files and folders and then click on Copy to. A Copy to window will appear. 22. Select the account you want to transfer the files to. 23. Click on the Transfer button at the bottom of the Copy to window. MultCloud will now transfer your files from one cloud storage service to another. A Progress window will appear in the bottom right corner of the MultCloud window.